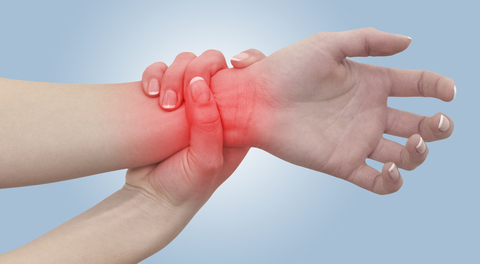 You may not think you have chronic inflammation. You still feel young and healthy! Or you’re focused on a specific problem—joint pain, heart disease, early signs of dementia—and you aren’t looking at a general cause like that. But many (most, I dare say) Americans suffer from some level of chronic inflammation. A diet with steady sugar intake, inactivity, lack of sleep, even mild infections/injuries (sunburns, toe problems, acne, there’s a long list of mild problems that, chronically, add up to a lot of stress on your body). Whether you want to think about it or not, that chronic inflammation is slowly causing problems. It contributes to joint deterioration, poor heart health (and is becoming more of a marker than cholesterol among some doctors), and, according to more and more studies, earlier dementia—among other problems. Major lifestyle changes are the best way to stop inflammation. Cut back on sugar and processed grains—and eat way more fiber (AKA fruits and veggies), make exercise (or just lots of movement) a daily habit, and get enough sleep at night (so your body can perform all the maintenance processes)—do all those basic health things, so your body an get back on track. -Avoiding inflammation triggers, like sugar and illness. Sugar is an okay sometimes treat, but if it’s a daily habit, you’re adding fuel to the fire. Illness triggers inflammation as part of a natural process, but you don’t want that going on regularly—give your body a chance to fight it off 100% by resting until you’re not sick any more (or continuing treatment, like with sinus infections), generally sleeping enough, and supporting your immune system. -Boosting your body over that last hump of illness. Signs of inflammation include redness, swelling, and pain—things that can be mildly annoying (acne, hangnail) but not urgent. Take it seriously, and help your body clear those minor injuries (check out our skin care tips, for instance, or see a dermatologist). Stay on top of clean bandages, wraps, or whatever you’ve been doing until it’s clear, even if it seems “okay” and neglectable—don’t let it draw out at “okay” for weeks or months. Colloidal silver can help support your body as it fights that lingering 1%, especially if rest isn’t getting it done. -And support yourself when you’re not perfect. Maybe there’s a string of birthdays, and cake, at work. Or a cluster of holidays that provide cookies, chocolate, and exchanges of treats. Or your favorite treat is in season for a month or two only, so you need to enjoy it while it’s there. Alternately, maybe a swollen toe is interfering with your exercise levels, or inflammation is already making your joints complain about moving too much. Point being, life, and living it, can get in the way of doing what’s best for our health. Make sure you have back up support! Take a powerful antioxidant like our Longevity Antioxidant Formula with your breakfast—or work our Jiaogulan tea into your afternoon. You can even make sure you have daily support with colloidal silver. Or all three! Give yourself cover, and support, to live your life.